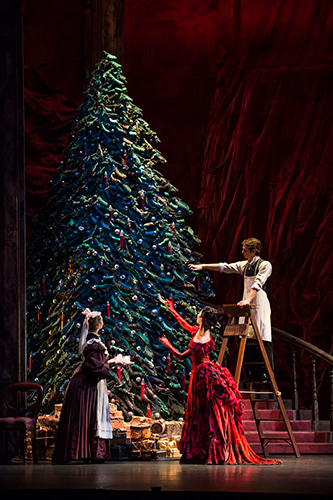 I have a certain sentimentality attached to The Nutcracker, a ballet that has become synonymous with Christmas. For when I was 12-years-old, my eldest brother took my sister and I to see it at as a special Christmas present. It was my first introduction to ballet and the decadence and magical music, dancing and special effects dazzled me, sending my senses into overdrive. 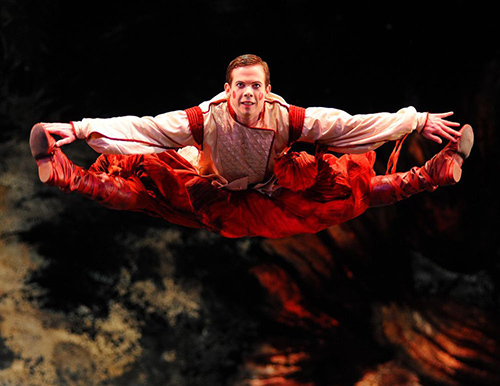 More than two decades later and Sir Peter Wright's production of The Nutcracker performed by Birmingham Royal Ballet at Birmingham Hippodrome was still able to transport me to another world, where Sugar Plum and Snow fairies, rats and toy soldiers dwell. 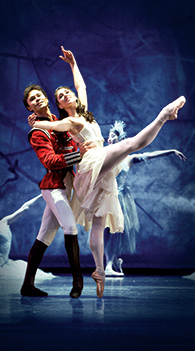 With the most oppulent sets and costumes you are likely to see in any current stage show, this is a well-loved version that sets the bar in ballet and theatre excellence. A perfect show for children along with adults, the tale is accompanied by a formidable and recognisable Tchaikovsky score. It opens with a Victorian family's lavish Christmas party where a magician entertains the children with delightful tricks and presents them with toys including a Nutcracker soldier to teenager Clara. It's when everyone has gone to bed that our fantasy adventure really gets going. Creeping down to get her Nutcracker from the bottom of the tree, Clara is swept into another world and shrunken to the size of a rat by the mysterious magician. In this strange world where toy soldiers come to life and Clara must rely on her hero Nutcracker and the Snow Fairy to save her from the evil rats, it is impressive scenery changes that seamlessly merge in the blink of an eye to make it all seem so realistic. Snowflakes fall on The Snow Fairy and her attendants to create a picture perfect image as they dance beautifully in unison. Yet this is only the first act and my breath is already taken away. After the interval, we are thrown straight back into the magic as Clara appears flying across the sky sitting on top of a goose. Gasps greet the scene from many an enchanted child. There's a much more fun feel to the ballet from this point as Clara meets an array of lovable caricatures from around the world, like Spain, Arabia, Russia and China, who each perform a native dance. The Arabian dancers are particularly impressive. Three bare-chested men enter the stage carrying a stately woman high above their heads in Cleopatra fashion before they contort and balance elegantly with their lithe bodies. Music from each of these sections, performed by the Royal Ballet Sinfonia, is probably the most well known of the ballet, particular the Dance of the Mirlitons featuring a row of ballerinas with candy cane striped wands that has been used in many an advert. It's the light-hearted section before the ballet gets more serious and flowers and fairies dance for our heroine in the lead up to a mesmerising finale of the grand pas de deux, performed by excellent principal dancers Elisha Willis and Cesar Morales in shimmering outfits. The traditional scene of glistening tutu and heroic prince is straight from the dreams of little ballerinas up and down the country. This Birmingham Royal Ballet production of The Nutcracker choreographed by Sir Peter Wright was first performed in 1990 but it has earned its place as a timeless treasure that never seems to lose its sparkle. So, indulge yourself and be transported into a fantasy adventure for just a few hours. After all, it is Christmas. Tickets cost from £18 - £52 from the Birmingham Hippodrome website.